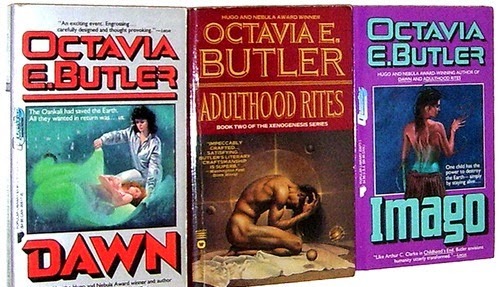 In studies of literary scholarship on Butler’s writings, the series covered most has been the Xenogenesis trilogy/Liliths Brood, including Dawn (1987), Adult Rites (1988), and Imago (1989), especially for Butler’s treatment on the effects of governmental gene manipulations on citizens and perpetual violence. 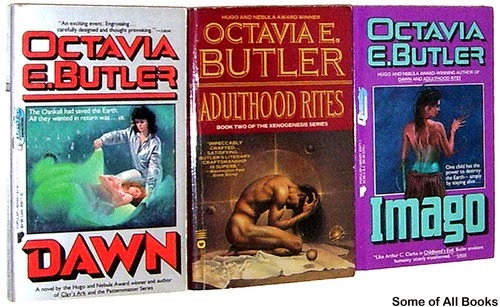 However, Butler’s ability to create black women characters that are healers is noteworthy, in this case Lilith from Dawn. Lilith does not have the healing capabilities that the women of The Patternist Series have; yet, her presence in the novel brings healing to Nikanji—an Oakali alien who served as Lilith’s teacher and protector—when he was nearly killed in a battle with the humans. And, as “first parent” Lilith raises an awareness of the importance of her position. Butler’s works present us with the opportunity to imagine the possibilities of witnessing healers that are genetically designed to heal the sick, both human and alien. Lilith also has several similarities as Keira, both are cancer survivors and they both adapt to the alien beings in their respective narratives.